$30 Registration fee now through December 31! We are once again inviting our extended family and friends who cannot join us in Las Vegas the opportunity to support our incredible event no matter where you might find yourself by becoming a Windy25 Shadow Runner. You can run as an individual or start a team and pledge to run a 5k on or before March 25, 2017. We will provide a t-shirt and finishers medal for all those participating and encourage you to upload your photos and finishing times to our Facebook and Instagram pages. All the proceeds raised from our Windy25 Shadow Runners goes directly to TAPS allowing you to continue to support a great charity. We look forward to seeing your incredible race photos from around the globe!!! We thank our Windy25 Partners for their incredible support. Windy25 Partners are a group of distinguished institutional and corporate sponsors that share our goal to raise funds for Tragedy Assistance Program for Survivors (TAPS), as a tribute to our Windy25 crew. TAPS’ mission supports the loved ones of America’s fallen heroes with 24/7 compassionate care, children’s grief camps, survivor seminars, and family assistance. 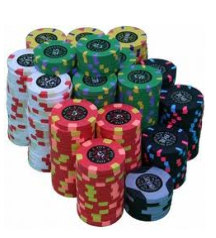 Our Sponsorship levels match the denominations of the poker chips featured at the casino of our host, the Cosmopolitan of Las Vegas.